The early days of a new relationship can be scary and uncertain. Because you do not know where you stand, you have a deep fear of rejection which can then bring on a controlling behaviour. This unhealthy behaviour then falls into two major categories: overt control and covert control. Covert control typically results in compliance, enabling, withdrawal, defending, explaining, lying and denying. This behaviour normally occurs when there is a problem or an issue early on. For instance: he might be seeing his friends far more often than you. The attacked partner will respond with some form of covert control in an attempt to have control over not being attacked. Controlling behaviour will result in resentment and emotional distance. Very few relationships survive this type of control, especially early on in the relationships. Even though it’s used to secure the relationship, it actually brings about the rejection that it is meant to avoid. 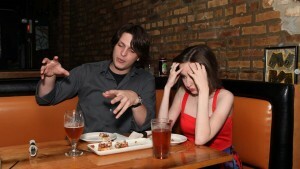 Here we will talk about the other end of the relationship dysfunction. Many people, especially after a long break from dating will enter a relationship with a deep fear of being ‘suffocated’ and controlled – in other words, they are afraid of losing their identity. The moment their partner displays signs of control over them, they respond with resistance – withdrawal, forgetfulness and avoidance. These people will always have something better to do when you want to see them; they will hold on to their previous lives just to have that ‘normality’. When one partner is controlling and the other is resistant – which is really an attempt to have control over not being controlled – the relationship becomes impossible. Partners in this relationship system feel frustrated and resentful. There are people who enter a relationship because they are needy and can not function on their own. They believe it is their partner’s job to fill their emptiness, and make them feel good about themselves. These are people who have not learned to take responsibility for their own feelings and needs, and to define their own self-worth. They then turn to their partners and others to fill them with the love they need. Most people who feel empty inside turn to substance abuse in an attempt to fill their emptiness and take away the pain of their loneliness. Alcohol and drug abuse, food, spending, gambling, affairs, work and so on, can all be used as ways to fill emptiness and avoid fears of failure, inadequacy, rejection and engulfment. And they are all ways of shutting out your partner. Many people are acutely aware of what their partner is doing that is causing relationship problems, but completely unaware of what they are doing. For example, you might be very aware your partner shows resistance or withdrawal, but totally unaware you behave in a judgmental manner. 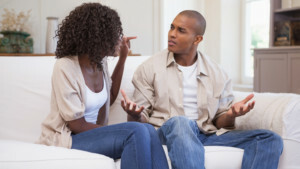 You might be very aware your partner is angry, but completely unaware of your own part in that anger. As long as your eyes are on your partner instead of on yourself, you will continue to believe that if only your partner changed, everything else would be okay. All relationship killers come from a fear that we bring into it. A fear of inadequacy, of failure, of rejection and of engulfment. When you’re bringing these fears into your relationship, you will be behaving in one or more of the above ways. You need to develop a loving adult self who knows how to take full responsibility for your own feelings and needs. When you love and respect yourself as you should, you will move beyond controlling, needy and addictive behaviour. Take your eyes off your partner’s plate and turn your eyes fully on yourself, and begin to do the inner healing and self-loving work necessary to heal yourself and your relationship. Do you need to talk about your relationship? Or did you find you behave in the ways described? What issues are you presenting for advice?